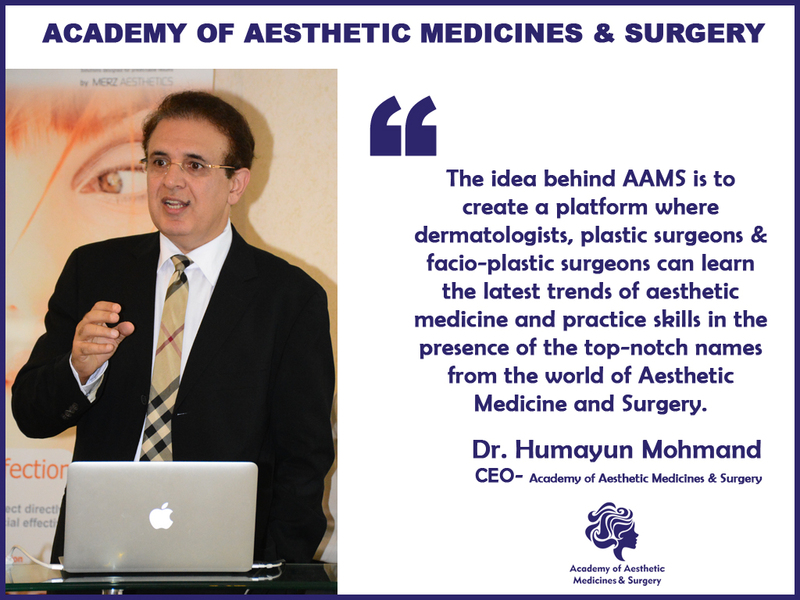 Academy of Aesthetic Medicines and Surgery, Islamabad organizes International Annual Meeting & Hands-on-Training Workshops in Pakistan. We engage top-notch Dermatologists and Plastic Surgeons from around the globe. The idea of our training is to create an International platform to give an exquisite learning experience for our trainees. They learn from the lectures and gain knowledge from the renowned doctors. Moreover, we have introduced Hands-on Training sessions for a on to one experience. Trainees can practice under guidance of the experts! We are bringing another learning experience this year on the 18th, 19th and 20th August for 15 hours of Lectures from the Top Doctors of the World. 70 lectures from the Top Doctors of the World, covering every aspect of Aesthetic Medicine and Surgery. Featuring the most exciting Cadaver session on every part of the face and each step of filling from the Top most Anatomists and Facial Plastic Surgeons. More than 20 Hands – on workshops featuring the latest trends in Fillers, Botox and Threads of various varieties. Hands – on sessions are unique with one – on – one training opportunity for every participant. Never done by any other forum. Symposiums covering EBD and RF/ Ultrasound/ Threads/ Fillers and various skin enhancing products. A unique workshop for Dual Plane Breast Augmentation with video demo of every step. Endorsed by the prestigious ISAPS, PAPS & promoted by one of its kind IMCAS, France. Meeting and Training to be held at Serena Hotel, Islamabad which is well known for International Security Measures and Five Star Luxury Hotel in Pakistan. The countdown begins in the Margallas – 18th, 19th and 20th August, 2017.